If you understand how using social media can bring traffic to your website, another thing to keep in mind is that using your website, you can help build up your social network with social media buttons. A visitor that finds your website might like the products or services that you offer, but might not need them just yet. Instead of relying on them to hopefully bookmark your website and remember to return at another time when they are in need of your services, having them add you to their social network can help you stay relevant. In this guide I'll try to cover some of the many ways you can help add social media buttons to your website to easily allow visitors to start following you on their favorite social networks. I doubt you've been able to navigate the Internet much over the last few years without running into some form of social media buttons. These are basically just small icons that you place on your website linking to your social media networks. Typically there are 2 main types of social media buttons, ones that simply link to your social profiles, and then ones that keep track of how many likes, followers, shares you have on that page or on your website. In the simplest form, if you just have some HTML pages making up your website, you can easily add social media buttons to these pages with some simple code from each social network. Adding some Facebook social media buttons to your website can help you spread your message via word of mouth to your visitor's friends. They have both a like button you can use on any page, and a like box you can use if you have a Facebook page for your business. 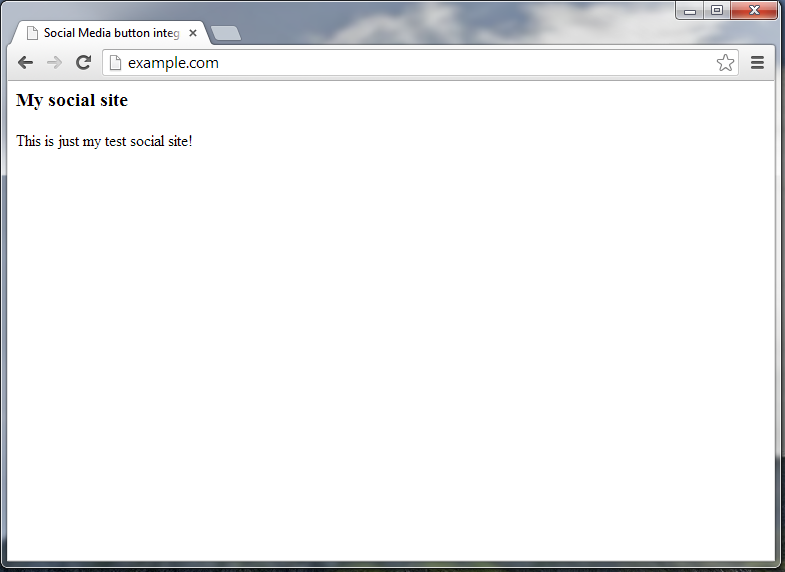 Next select the HTML from the bottom box, and paste it where you want the button to display on your page.